A new report came out this week with detailed proposals for a transition to a banking ecosystem that puts the public interest first. Our Policy Officer, Anna Birley, shares some highlights from the report. This week, the CWU and the Democracy Collaborative have published an independent report for the Labour Party on a new public banking infrastructure. This fresh examination of our financial institutions and systems couldn’t have come at a more apt time – in the month leading up to the report’s publication, another 70 bank branches and 500 ATMs will have closed, while RBS spent the month mired in scandal. They were caught chasing victims of loans that they admit having mis-sold in the first place, and a shareholder rebellion began brewing over excessive executive remuneration. It is clear, both from the lived experiences in many communities and from the detailed analysis in the report, that Britain’s financial system is broken. These are complex problems, and the solutions are far from straightforward – but this report significantly advances the debate and presents detailed proposals for a Post Bank, a National Investment bank supported by a network of regional banks, and alternatives to a re-privatisation of RBS. The strong message through the report is that banking can and should provide a public good – that a responsible financial ecosystem supports economic growth, greater economic democracy and more resilient local communities. However, as with RBS, the sector today has lost its way its public service mandate. So recommendations in the report to retain a controlling government stake in RBS come with the objective to turn their business model towards public interest objectives. Public funds used to bail banks out should be spent for benefit of the consumers rather than future shareholders, unlike the Tories’ failed re-privatisations – and as this strategy is developed, governance and the voice of customers, staff and other stakeholders will be key to ensuring public benefit and protection from future re-privatisation are achieved. The report’s Post Bank recommendations seek to kill a number of birds with one stone – ensure continued access to basic banking services on high streets where other banks have closed branches, and ensure long-term financial sustainability for the Post Office network. The value of bank loans to SMEs has fallen 56% over the past year and the proposals address this too, by including a mandate for Post Banks to support SMEs, social enterprise and public enterprise. The report suggests a public trust model of governance with public representatives and stakeholders on the board – as the governance strategy is further developed, it could include the addition of customers represented both at regional and national levels. 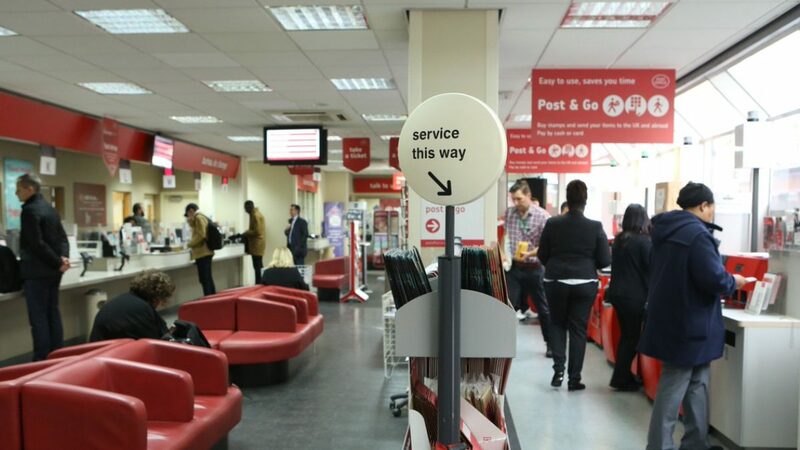 The Post Office is a trusted brand, and has much higher consumer confidence than banks, so this presents an opportunity to rebuild trust in banking as a public utility. A responsible Post Bank also provides a tool for improving the rest of the sector, with affordable products and responsible, community-minded behaviour setting new minimum consumer expectations on standards which high street banks will have to meet if they’re to compete. Both the Labour and the Co-operative Party policy platforms at the 2017 general election proposed a national investment bank. A policy paper voted on by last year’s Co-operative Party conference proposed a new investment bank and a network of regional mutual banks – tasked with supporting the expansion of co-operatives, social enterprises and small and medium sized businesses returning benefits to their locality to reinforce local economic growth. Replacing our current banking ecosystem, where towns that have been stripped of investment and have lost the last bank branch, with an ecosystem in which a National Investment Bank invests in local growth, post banks provide personal and SME banking services on every high street, RBS operates with a renewed social purpose and a diverse network of regional development banks support a transition to economic democracy, is an exciting prospect. The report rightly points out that this must not be a zero-sum game where this new diverse banking sector simply takes business from each other and from other pre-existing responsible finance such as credit unions and community banks. Instead, responsible finance should have a growing market share. This new approach needs to take on the dominance of the big five banks that hold 85% of all current accounts if it is going to be successful in cultivating a genuinely diverse new ecosystem.